Bobby Maddex intervies Dr. Frank Papatheofanis, the founder and president of St. Katherine Orthodox College in San Diego, California, about the school's recent regional accreditation by the Western Association of Schools and Colleges. Ancient Faith Presents: St. Katherine University! Bobby Maddex interviews Dr. Frank Papatheofanis, the founder and president of St. Katherine Orthodox College, about the school's new online graduate course offerings. 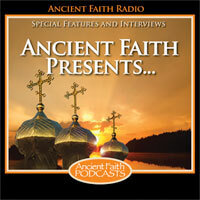 Ancient Faith Presents: St. Katherine College Receives “A” Rating!